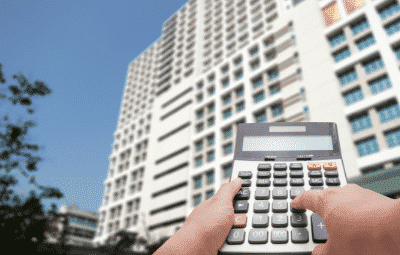 Whether a rental real estate enterprise is a trade or business for purposes of the section 199A qualified business income deduction (QBID) has been a subject of uncertainty for many taxpayers. Thankfully, the IRS has issued guidance to help clarify the situation. Notice 2019-07, released on January 19, 2019, provides a safe harbor for treating a rental real estate enterprise as a trade or business solely for purposes of the section 199A deduction. The individual or RPE (relevant pass-through entity) relying on the revenue procedure must hold the interest directly or through an entity disregarded as an entity separate from its owner. Taxpayers must either treat each property held for the production of rents as a separate enterprise or treat all similar properties held for the production of rents as a single enterprise. Real estate used by a taxpayer as a residence for any part of the year or real estate rented under a triple net lease is specifically excluded from eligibility under this safe harbor. Taxpayers may not vary this treatment from year-to-year unless there has been a significant change in facts and circumstances. If the following safe harbor requirements are met, the real estate enterprise will be treated as a trade or business for purposes of applying the regulations under section 199A. The safe harbor applies to individuals and relevant pass-through entities (RPEs) which includes qualifying partnerships, LLCs and S corporations. (iv) who performed the services. Such records are to be made available for inspection at the request of the IRS. The contemporaneous records requirement will not apply to taxable years beginning prior to January 1, 2019. Rental services may be performed by owners or by employees, agents and independent contractors of the owners. The term rental services does not include financial or investment management activities, such as arranging financing; procuring property; studying and reviewing financial statements or reports on operations; planning, managing, or constructing long-term capital improvements; or hours spent traveling to and from the real estate. It’s important to note that failure to satisfy the requirements of this safe harbor does not preclude a taxpayer from otherwise establishing that a rental real estate enterprise is a trade or business for purposes of section 199A under other provisions. However, this IRS guidance should go a long way in easing uncertainty for those with real estate holdings. Real estate CPAs are well versed in safe harbor requirements and guidelines for other tax advantages available to you. Contact James Moore for help in navigating these opportunities so you can get the most out of your return.